Chris has organized, designed, and implemented experiential environments, interiors, master plans, and branding initiatives for clients ranging from small offices to large institutions. He has broad experience in architecture, graphic design, and interior design. Chris is currently leading OverUnder’s ArtFarm cultural center for the City of Somerville, and he is the project director for the office’s work in placemaking and wayfinding for MASSMoCA, MIT’s Department of Urban Planning, as well as similar services for the Harvard University Graduate School of Design, Innovation Lab and Information Technology departments. He is responsible for the firms work with the Metropolitan Area Planning Council and led the graphic design team for Boston 2030, the first comprehensive plan for the city in over 50 years. 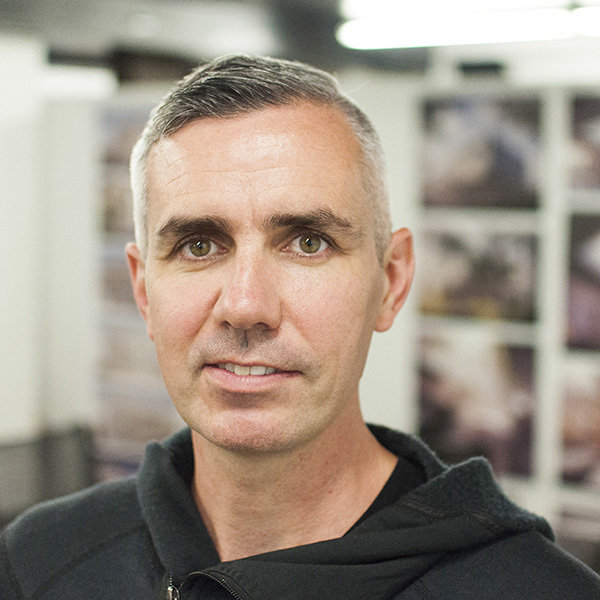 His work for interiors and lobby installations for Troy Boston, and the Eddy have been featured online, and his work has been recognized by the AIGA, SEGD, HOW, docomomo, the Boston Preservation Alliance and the Boston Society of Architects. Chris is adept at engaging and synthesizing feedback from many constituencies, while maintaining a coherent design vision. Chris has taught at the Rhode Island School of Design, and is currently adjunct faculty at Northeastern University’s College of Art Media and Design.